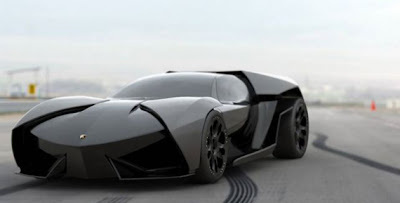 Kyality: a blog about music, movies, tv, cars and design: Holy Selina Kyle on a Batpod, Batman! Holy Selina Kyle on a Batpod, Batman! This just in via @jeremywchase. 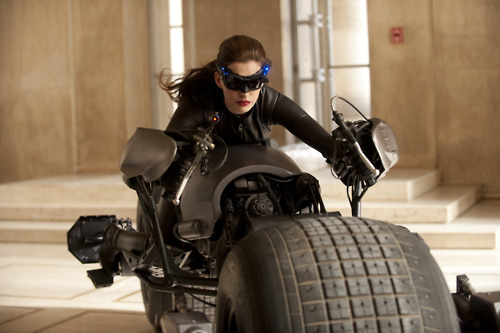 Production photo of Anne Hathaway as Selina Kyle, perhaps escaping with the Batpod? Not so sure how I feel about this yet. Well I'm going to go ahead and say that I think the choice of Anne Hathaway as Selina Kyle bites the big one. I think the casting of female actors is the only true flaw of the new Batman movies. Katie Holmes (aka the side talker), Maggie Gyllenhal (seriously? did anyone understand that? ), and now the overexposed (in several ways) Anne Hathaway. Cmon already! I with you kmon, a lot of people ignore the fact that the Gyllenhall-Holmes disaster took place and say the Dark Night is the greatest movie ever made.